So what about the rest of the island.......? Cape Greco was designated as a National Forest Park in 1993. It is a relatively unspoilt area with great natural beauty which changes and offers something different each season. It is an oasis of tranquility nestled midway between the busy resorts of Ayia Napa and Protaras. 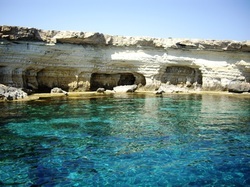 There are numerous sea caves stretching from the Eastern edge of Ayia Napa up towards Cape Greco National Park. Smugglers caves and the palace caves (right) are deep passages in the cliffs only accessable from the sea. Some go as deep as 80 metres into the rock and at low tide during calm seas it is possible to walk or swim into many of them. One of the more extreme sports which is popular here is cliff diving or cliff jumping. 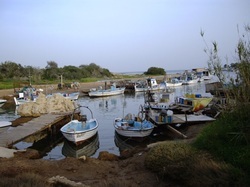 Located at the western end of Ayia Napa, Potamos is a peaceful and sleepy fishing area. It has a small beach, 2 excellent fish restaurants and pretty surrounding countryside. Read more about Potamos Liopetri. 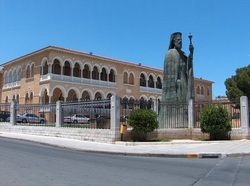 Larnaca is a fairly large city and home to the largest airport on the island. The majority of the district is agricultural but Larnaca city itself is a vibrant town with a mix of tourists and locals enjoying the plentiful shops, bars and restaurants and the impressive Phinikoudes promenade. Larnaca bay is a more touristy area which follows the Dhekelia road and has several lively bars and nightclubs. Smaller villages such as Pyla, Pervolia and Mazotos have many private apartments and villas and attract visitors who want to be more independent and away from the main tourist resorts. Larnaca is approximately 40km from Ayia Napa and around 35 minutes driving time away. 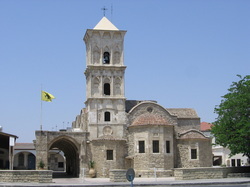 Limassol, or Lemesos, is often called the second city of Cyprus. It is a large city where aproximately 30% of the islands population live. As well as its working port and harbour areas there are numerous ancient monuments and sights in the district such as Kourion (Curium), the Sanctuary of Apollo and Kolossi Castle. The city itself has an impressive array of shops and nightlife with tourist accommodation spread thoughout. There are also many elegent luxury resort hotels at the edge of the city. The inland part of the district slopes into the foothills of the Troodos mountains and is an important wine growing area. Limassol is approximately 111km from Ayia Napa and around 1 hour 15 minutes driving time away. Nicosia city is located in the centre of the island. It is the last divided capital in the world and has been split through the centre since the 1960's. Today it is possible to cross on foot over to the occupied Northern part of the island through Ledra street. Nicosia is also famous for its excellent selection of international shops such as Gucci, Zara and Debenhams as well as its trendy boutiques. Nightlife is eclectic with cavernous nightclubs playing the latest urban sounds, to karaoke and themed pubs, classical music and opera. Culture vultures will love the numerous museums, Venetian walls, and Laiki Yeitonia which is a labyrinth of traditional streets and alleyways filled with shops. Outside of the capital the district has rural villages, ancient churches and stunning scenery. 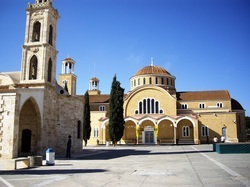 Nicosia is approximately 83km from Ayia Napa and around 1 hours driving time away. 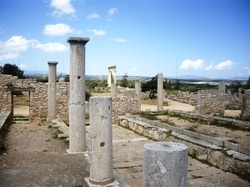 Paphos lies at the western end of the island and is a large multicultural town popular with tourists. It has plenty of lively nightlife and tourist facilites as well as lots of antiquities such as the mosaics close to the Venetian fortressed harbour and the Pillar of St Paul. The rest of the district is also home to the largest ex-pat community on the island and is sometimes referred to as Britain in the sun. 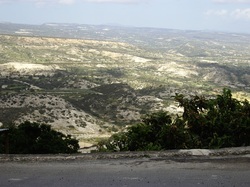 Villages such as Peyia, Yeroskipou and Chlorakas offer a wealth of holiday homes for residents and holidaymakers alike. North of Paphos town lies the Akamas peninsular with an area of outstanding natural beauty and is popular with hikers and other sports enthusiasts as well as those interested in botany and ornithology. The small villages of Polis and Latchi on the north western coast offer a more traditional atmosphere with quaint fishing harbours, orchards and a sleepy way of life. Paphos is approximately 177km from Ayia Napa and around 2 hours driving time away, Polis & latchi are approximately 210km away with around 2 and a half hours driving time. Paralimni is the closest real village to Ayia Napa which isn't a tourist resort. It is just a few miles from Ayia Napa and is the administrative centre for the free Famagusta district. One of its highlights are the shopping opportunities including numerous trendy boutiques and a large number of shoe shops. Marks and Spencers, Sports Direct, Lidl and Mothercare are well known brands which can be found here. In the centre of the village the old and new churches sit side by side in the central square which has several pleasant cafe-bars and restaurants. 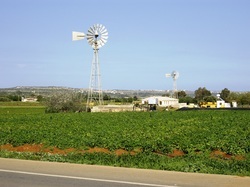 Paralimni is around 6km from Ayia Napa and around 10 minutes driving time away. Protaras is a purpose built holiday resort aproximately 10km eastwards of Ayia Napa. It is a large resort and encompasses mini resorts such as Green Bay, Pernera, Ayia Triada and Kapparis. There are many hotel and apartment complexes following the length of the coastline for several miles and numerous other facilities for tourists such as shops, bars and restaurants. 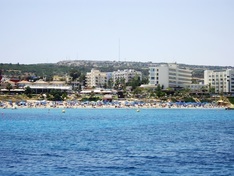 Protaras has several very good beaches including the famous Fig Tree Bay. It is a very popular resort with families and couples and also attracts a lot of Cypriots from other parts of the island during national holidays. Protaras is home to various attractions including the Ocean Aquarium and the Magic Dancing Waters. Protaras is around 12km from Ayia Napa and around 15 minutes driving time away. The free Famagusta area contains several villages which are collectively known as red soil villages or Kokkinochoria, due to the vibrant colour of the iron rich earth here. These villages are mainly agricultural with a sleepy atmosphere and scenic views. Beautiful old churches, old style village houses and fields of vegetables dotted with windmills used to pump water are common sights. Local customs are still carried out in the traditional villages of Avgorou, Deryneia, Frenaros, Liopetri, Sotira and Vrysoulles as well as in Xylophagou and Achna which are at the very edge of the district bordering Larnaca. The Troodos mountain range covers a large area and has peaks up to 1900 metres. During the summer it's slopes offer welcome respite from the heat of the towns and both tourists and locals flock to its enchanting villages for hiking, walking and cycling. The area is well known for its natural beauty, with waterfalls, mountain streams, wild flowers and pine forests. In the winter skiing can be enjoyed as snow covers the area with a white mantle. The villages of Troodos are generally picturesque with tiny antique churches, byzantine monasteries and stunning views, with local people live by centuries old traditions. Popular villages to visit include Kakopetria, Pedoulas, Platres and Omodos.